When your family life is turned upside down by a major life event – whether good or bad – you may have to make some quick decisions and some big changes to cope with the new situation. Dealing with clutter in your home only adds to the disorder when coping with these changes. There is a way to keep at least one aspect of your life simple. By renting a storage unit in a self-storage facility near San Mateo, you can keep your belongings separate and safe from the disorder until your family situation is resolved. When you are dealing with a difficult situation that demands your time and attention, you may not realize that renting a self-storage unit can take such a huge load off your shoulders. Often, a big life change doesn’t just affect your time and attention, but also begins to take over the space in your home. A self-storage facility is a practical solution that allows you to adjust your home’s available space, no matter what new family situation is upon you. · Keeping a Divorce Hassle-Free – A great way to reduce stress during a very unstable time is to move your valuables and belongings into a storage unit until things have settled down again. Storage can keep your material possessions separate from the chaos of a divorce and make the challenges of possibly having to move out, a little easier. · Changes When Your Child Goes to College – When you have a child in college or university, life can get a little hectic: there is always someone moving in or out during holidays or breaks, and also the possibility that moving out could be permanent. Using a storage unit at a self-storage facility is a convenient option. Keep your student’s belongings there during the school term and utilize that extra bedroom for guests. Retrieving needed items from the storage unit when your student moves back, can allow these changes to be made with less effort and without stress. · Making Room for a New Family Member – Having a new baby can be the best moment, but also the most topsy-turvy time of your life! Babies are small, but they do require many additions to your home. From strollers to cradles, changing tables and play areas, you will find yourself having to make space for all these, and more. Many families will want to dedicate an entire room for their new baby and will need to clear out some of the space to adjust to your tiny new family member. 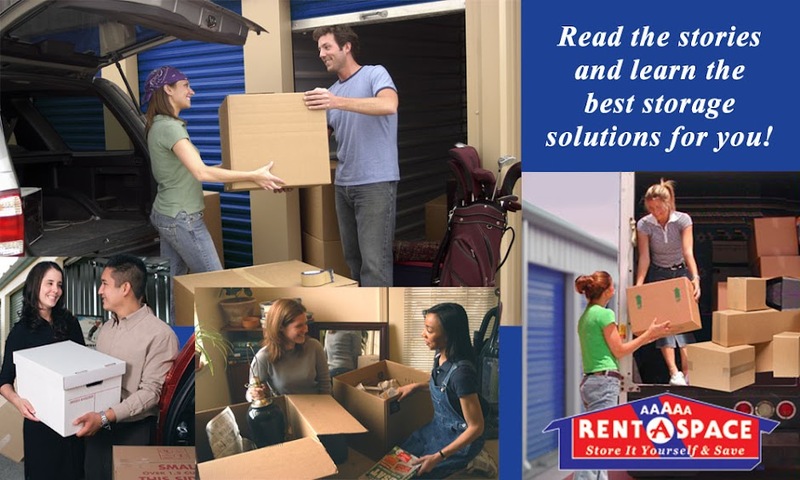 Rent a self-storage unit! That will allow you to keep your stuff organized and accessible without cluttering up your home. · Coping With a Death in the Family – When a family member passes on, it is an emotional time for those left behind. After the initial period of mourning is over, something has to be done with all of the deceased member’s belongings. If your family is coping with a tragic loss of this nature, renting a unit in a storage facility can help keep it simple in this difficult time. The person’s belongings can be safeguarded until the will is read, or the family members decide what to do with the items. Many may be valuable or antiques. Storage gives everyone a little time to consider what to do next and when. Going through one of these significant changes in life is never easy, but you can find peace of mind by storing at a self-storage facility. Having a home that is clean, tidy and organized will help to make the situation much less complicated.